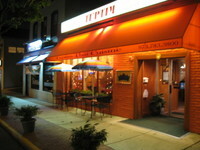 We have been dining at Tuptim since they opened over a decade ago. They have had their ups and downs. A couple of years ago the ownership changed and I would not go near the place. It was terrible. Tried them again last fall and have been happy ever since. I wish there was better Thai in Montclair, I have very high standards. Some say they think Thai Chef is better. I don't agree. We had dinner at Tuptim last week. Service and food were great. Read about which wines pair well with Thai food. 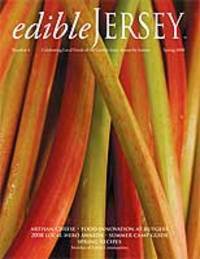 EdibleJersey is a quarterly magazine that celebrates the local, seasonal food of the Garden State. Brimming with engaging stories and enticing photography, Edible Jersey tells the story of food, from source to table, spotlighting the growers, producers, fishermen, retailers, chefs, home cooks, and others who energize our culinary community. One of the magazine's features is the EdibleJersey's Local Heros Awards, a tradition started by Edible Communities the parent organization. In this event readers are asked to vote on who has made significant contributions to the local foods movement for that region. In the Spring 2008 Issue of EdibleJersey the New Jersey winners have been announced. Terra Tea Salon is one of those special places that you reluctantly tell the world about. It is so precious that I want to keep it all to myself, but that would not be fair. I am embarrassed to admit that I have walked by Terra on Church Street in Montclair many many times, on my way to Raymond's, Amanti Vino, or other destinations, but never went in. It took an invitation from my friends Margret Noon and Pam and Gary Tonucci of the Slow Food Northern New Jersey Convivium to get me to Terra. I was never a big fan of Syrah/Shiraz until I visited Australia this past August. Now I love the stuff. 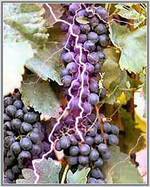 I have had many great Australian Shirazes and have been exploring Syrah/Shiraz from other countries. This week I tasted two from Argentina. I was not displeased but did not find them to be as exciting as the Shiraz from Australia. The site offers wines one at a time at 30% to 70% off retail pricing, until they sell out. Once they are sold out, thats it. No more. 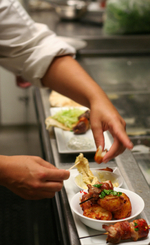 Here are some other blogs covering New york and New Jersey restaurants that you may enjoy. Tommy Eats, personal, funny, accurate and comprehensive coverage of New Jersey and New York eateries. For a man who claims "I'm not a food writer, I'm not even a writer, I'm not a "restaurant reviewer," he sure as a lot to say. From Per Se to Amazing Hot Dog, Tommy covers a lot of ground. I have begun my search for our 2008 Summer wine collection. Lots of entertaining and weekends and nights at the pool club demand a well stocked wine cellar. These Summer wines are often best young, last years group is gone. This year's collection will include some light summer whites for sipping or quaffing and several reds that go well with bar-b-que. Started with a case from Shoppers Vineyard. As may know by now I am mad about all things Australian. Food, wine, culture it is all good. So of course I am delighted that King's supermarkets have been importing more and more Australian items. 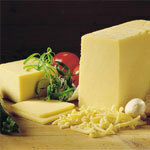 Here is a delicious cheese from South Australia from the boutique cheese make Daryvale. it is "bonzer" as they might say in OZ.